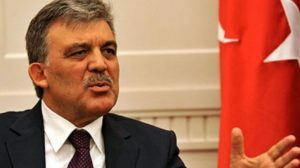 WASHINGTON — Turkish President Abdullah Gul publicly dismissed his counterpart’s claim that foreign forces are plotting against the Turkish government. Gul’s colleague and the Turkish Prime Minister, Tayyip Erdogan, said that foreigners are trying to destabilize his government through a controversial corruption probe. Reuters reported that the corruption probe, which led to the arrest of several of Erdogan’s political allies, their relatives and businessmen associated with Erdogan and his Justice and Development Party, has undermined the current Turkish government. Erdogan has previously cracked down on Twitter after a series of unrelated protests last year, but the corruption probe has led him to announce a ban of Facebook and YouTube. YouTube has been the source of leaks of audio recordings of Erdogan’s allies regarding their illegal activities. Gul co-founded the Justice and Development Party, which even Reuters admitted is “Islamist-rooted”, and is perceived as more of a moderate and neutral figure in the government. Erdogan has been in office for the past 11 years and has elections later this month. The probe may not lead to a resounding loss at the polls, but it is a large concern for Erdogan.